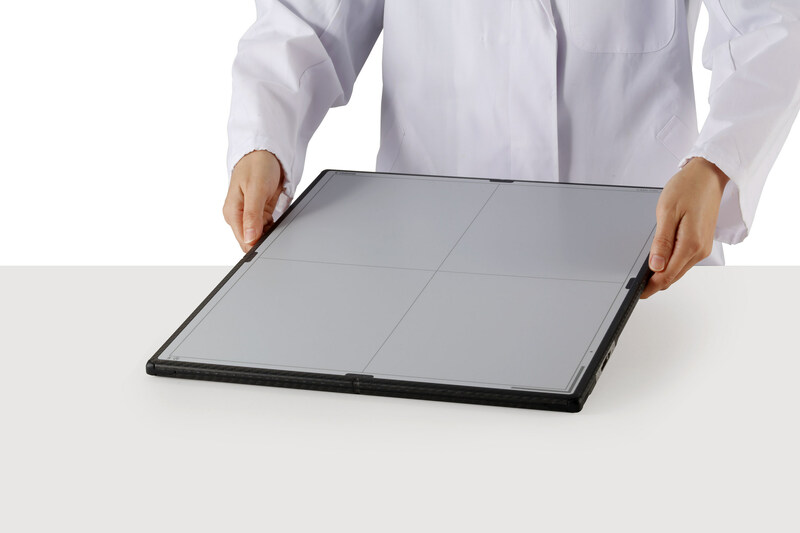 Canon U.S.A and its wholly owned subsidiary Virtual Imaging, are exhibiting a refreshed lineup of CXDI digital radiography detectors. These are designed to help streamline the digital x-ray process with the release of the CDI-710C, CXDI-810C, and CXDI-410-C Wireless Detectors. The recently launched detectors are lightweight1 and IPX7 rated2 devices that feature limited on-board image storage capability when operated in Standalone Mode 3. The key features of these wireless detectors include a lightweight and ergonomic design. The company states that by using strong carbon fiber, the new Canon detectors are among the lightest weight detectors currently available and are designed with form and function in mind. A carbon fiber chassis and frame provide high performance and high durability. Each of these three wireless detectors feature a “ready” function to be used when working with multiple detectors in a single environment. This function enables a user to select a specific detector from the DR modality workstation by simply pressing the “Ready” button. A charger is included as well. This allows for simultaneous charging of up to two batteries at a time so that a backup batter can be available when needed. An optional docking station allows for detector check-in, and rapid battery charging while in detector and transfer of images from the detector taken in Standalone Mode 3. Canon U.S.A. and Virtual Imaging have also announced the release by Canon of CXDI Control Software NE Version 2.16, made exclusively for use with CXDI Digital Detectors. This software helps optimize workflow and reduces the steps needed to complete examinations. RSNA 2017: Canon showcases updated DR systems that highlight ergonomic design. Appl Radiol.